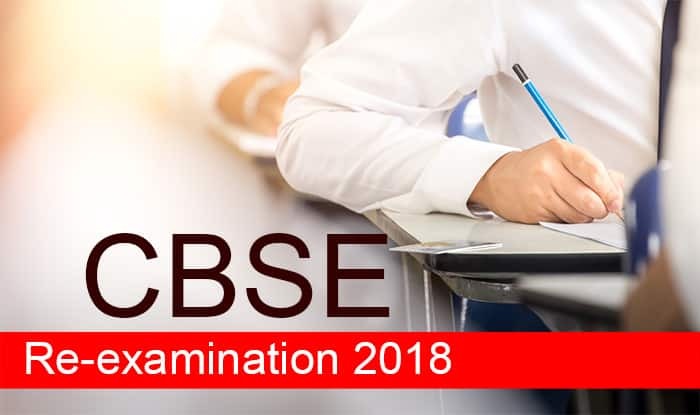 New Delhi, Mar 29: The re-examination of class 10 Maths and class 12 Economics are likely to be conducted after April 4 and April 12, respectively, by the CBSE. Sources said that re-examination would be conducted after all the tests get over, a report in The Indian Express. The class 10 board exams are getting over on April 4, while that of class 12 are getting over on April 12. The CBSE, however, will announce the exam dates on Monday (April 2) or Tuesday (April 3), Prakash Javadekar said in a press conference. Meanwhile, the Delhi Police on Thursday questioned a Delhi-based tutor, identified as Vicky who runs a tuition centre in Rajinder Nagar, in connection with the CBSE paper leak. “Too early to say who the culprit is. As of now, Vicky is the main suspect in the CBSE exam paper leak,” News18 quoted Delhi Police personnel as saying. The Delhi Police added the CBSE’s role can neither be confirmed nor denied in the case. The Delhi Police on Wednesday registered two separate complaints and set up a Special Investigation Team (SIT) in connection with the CBSE paper leak. In its complaint to the Delhi Police, the CBSE alleged that a Delhi-based tutor leaked the class 10 Maths and class 12 Economics question paper. It also mentioned that the board had received a complaint by fax on March 23 which named a person from Rajinder Nagar behind the paper leak. The role of two schools was also being probed.